A pressure cooker is such a great investment in your kitchen – now that I have had both a stovetop and an electric pressure cooker, I can honestly say I much prefer and electric. 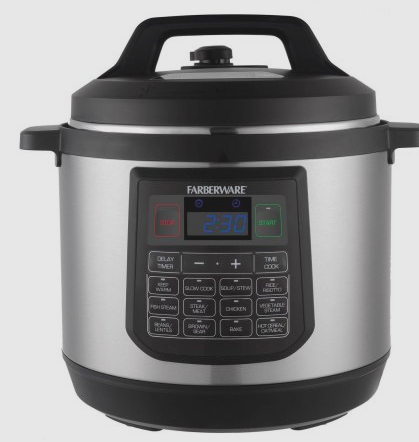 Walmart has the Farberware 8-Quart Pressure Cooker for just $59.99 (reduced), with FREE shipping. It is easy to use and has 12 preset functions. Built-in safety features ensure the cooker never puts you at risk.